If you have a website and want to promote our services copy and paste the code below to use our buton. 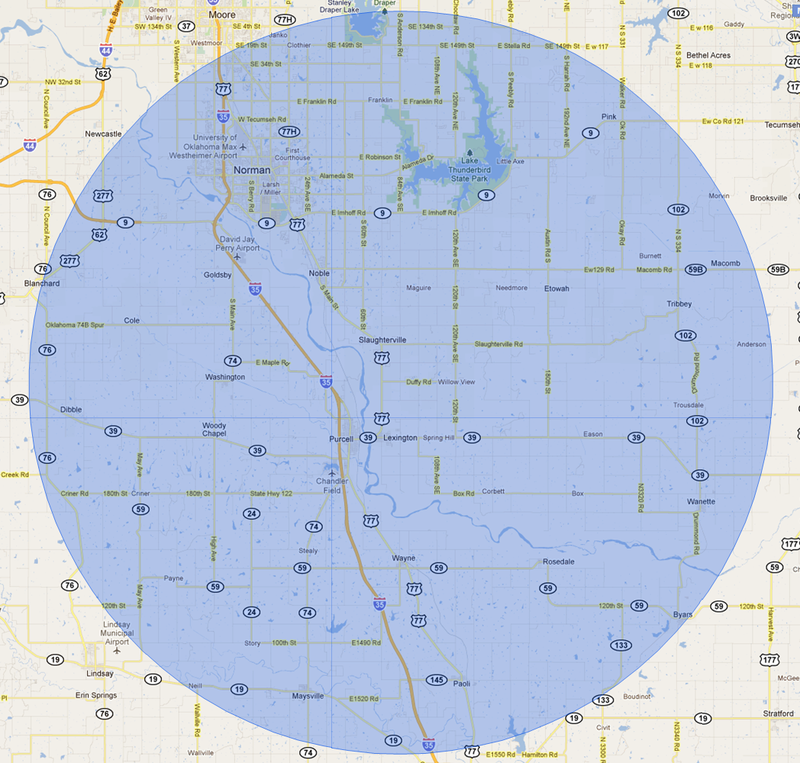 Below are clickable expandable maps of the area we serve. 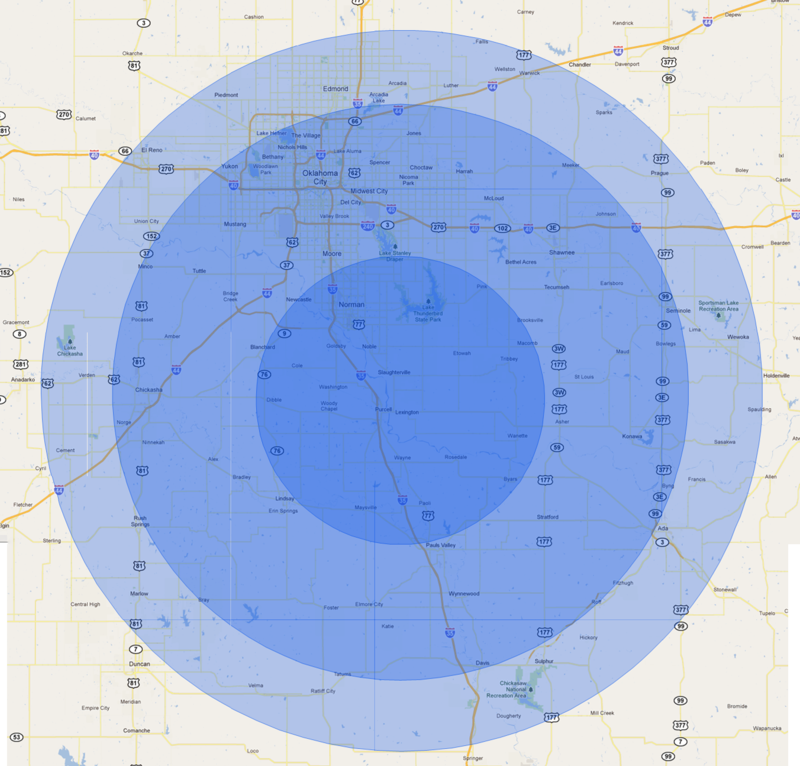 We have included maps covering our 20/40/50 mile radius mileage maps. Please be aware that the maps should only be used as a general guide as we charge by the actual mile driven to get to your location. 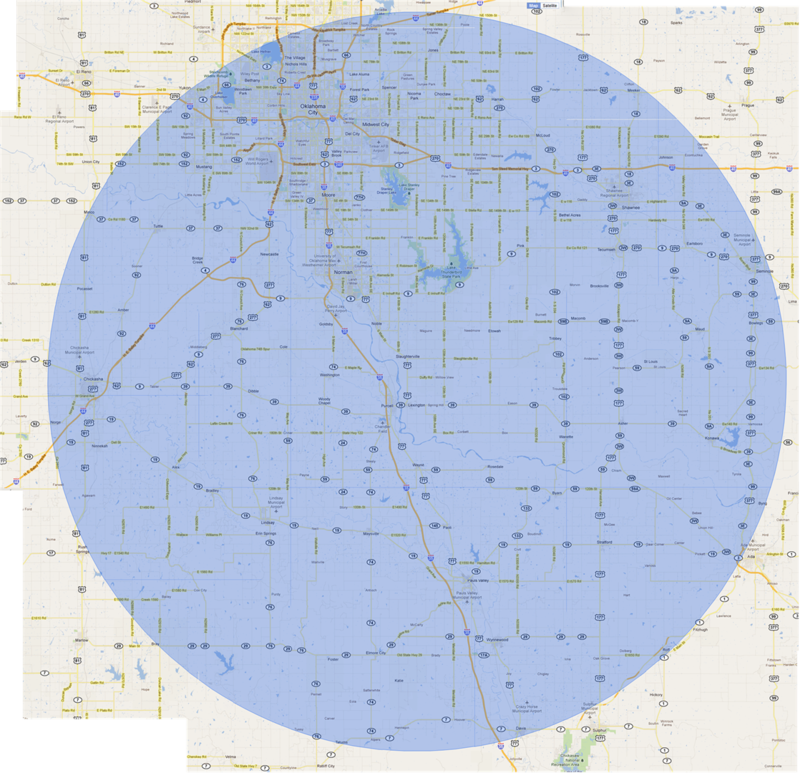 We will use Google Maps directions to determine the actual mile and will quote you that price before coming to your location. Copyright 2001 - 2019 Crazy Computing!